Adroit Market Research is an India-based business analytics and consulting company. Adroit Market Research offers various services such as syndicate reports, consulting services, and customized reports. A typical market study includes three steps – Research, market size estimation and forecasting. Information’s value is enhanced when curated for adaptive intelligence. We are here to provide credible market intelligence with actionable insights. We believe that with the fast changing business environment and rapid turns in economic cycles, a lot is overlooked. With the aid of technology, a large amount of data is produced which is waiting to be analyzed and patterned. The insights which can be mined from such a large amount of data can enable businesses to grow at a pace of their choosing, be it long term goals or short-term goals. Being aware of the market movements allows for agility and agility is one of the highest rated characteristics of modern businesses. We are a team of highly curious individuals who enjoy finding and analyzing patterns across different domains of business and trade. We are an extremely detail-oriented team of analytical minds who can identify, analyze and follow trends to create insightful studies. Studying industry patterns is a hobby for us and we intend to create value for our clients by partnering with them to search relevant intelligence and information. We aim to team-up with our customers and develop a strategic roadmap for growth acceleration. Adroit Market Research conducts syndicate research, also known as off-the-shelf studies, on a variety of markets. Our analysts have tracked high growth markets in chemicals & materials, healthcare & pharmaceuticals, semiconductor & electronics, energy & power, food & retail, consumer goods, technology, and machinery & equipmentsectors across the world to identify new opportunities, potential customers, prepare go-to-market (GTM) strategies, identify segments for revenue growth for companies, and many more. What makes us different from the competition are the hosts of benefits offered through our report offerings including thorough market segmentation, in-depth investigation of majormarket players and competition intelligence about the market landscape, extensive market informationfor segments across the value chain including enabling technologies, supporting services,andapplications across regions, and intensive study of keymarket segments and analysisof growth opportunities. We understand that a business activity is sustained by enhanced profitability and we are here to assist our customers in identifying opportunities for creation of more wealth. 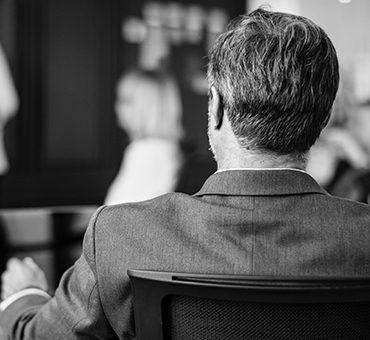 Our team of subject matter experts (SMEs) and experienced analysts evaluate the strategic decisions, conceptualize action plans,and facilitate critical bottom-line decisions. We have on board the best experts of the industrywho are proficient with market intelligence and business consulting services to help our clients grow. A typical market study includes three steps – Research, market size estimation and forecasting. We have explained our approach and methodology for each in detail in the following section. Our team of researchers implements a mix of primary as well as secondary research. Our projects are initiated with secondary research, where we refer to a variety of sources including trade databases, government published documents, investor presentations, company annual reports, white papers, and paid databases. This process helps us define the market and refine the scope of the study. We have a very strict guideline for selecting the sources of our information. 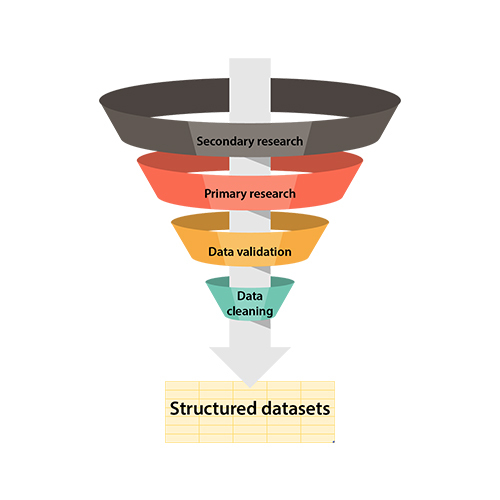 These sources are screened and checked for the quality of data they offer and their methods of collecting such data. We always double check the information from at least two sources to determine the credibility of the data. 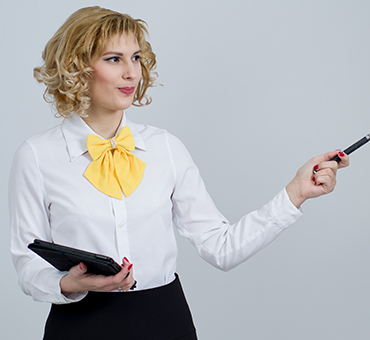 We employ the universally accepted approach of data triangulation to estimate market sizes. We apply a combination of top-down and bottom-up approaches to arrive at a small range close to the market size. We then connect with industry opinion leaders, subject matter experts, market participants, suppliers, traders, regulators, etc., to validate and verify our research findings and estimations. We approach participants from all stages of the supply chain and get their insights on the market to enhance the accuracy of our estimations and gain qualitative and subjective information to support our data. -> Top-down approach : The top-down approach includes estimating the Total Addressable Market (TAM) and then refining the market size estimate to the Served Available Market (SAM). We also study the whole value chain to determine the parent market and the upstream market size in the value chain to justify our estimations for the market being studied. -> Bottom-up Approach : We employ the bottom-up approach where the market data is available for sales of companies participating in the market. We study the country sales and sales in the inclusive segments of the market along with demographics of the individual countries to arrive at the estimates for the market. 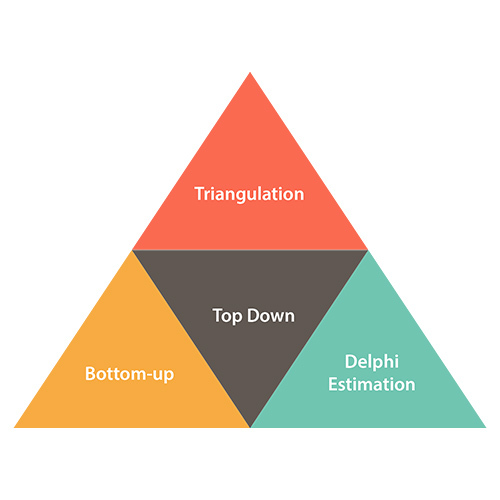 -> Delphi Estimation :Delphi estimation is an age old method of estimating market sizes based on the opinions of industry experts, opinion leaders and market participants. It is a sound method to understand the real views of the market and the sentiment of the market players. In the rapidly changing business scenario catalyzed by the changes in technology, traditional forecasting models fall short. Each market has unique characteristics and risks that impact it differently. We aim to find commonalities and abnormalities to identify real patterns. Consequently, we employ custom forecasting models using a mix of traditional time series forecasting methods adjusted to accommodate the effects of current factors that may have an impact on the current and future outlook of the market. 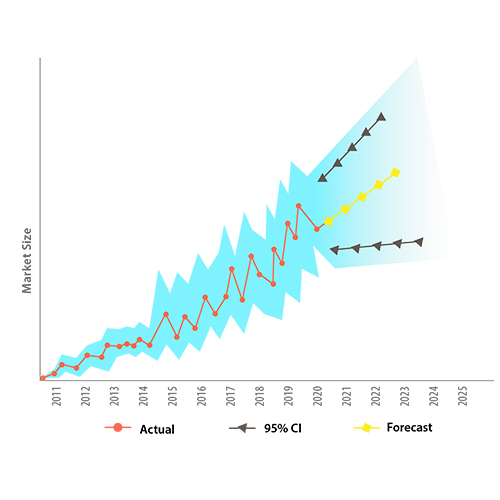 The forecasting techniques we use are a mixture of regression analysis and exponential smoothening to align our predictive analysis with the recent trends and rapidly changing business cycles. For seasonal markets, we use hybrid forecasting methods that include spectral analysis in combination with decomposition forecasting method.